There’s a whole bunch of excuses for why monthly comic sales are down in one of the longest sales-slumps in the history of the business. They range from the price being too high to competition from the Internet and video games. And before you go thinking this is another “woe is us” essay on the End of Comics, there is good news in increased bookstore and library sales as well as the long-promised audience of digital readers. I absolutely doubt we’ll ever see comics go away. The real question: why aren’t comics more popular generally? Why isn’t comic readership more widespread? From their inception in the 1930s and into the 60s, comics were a mainstay of entertainment. They were found everywhere and had an enormous audience of millions of readers in the United States alone. 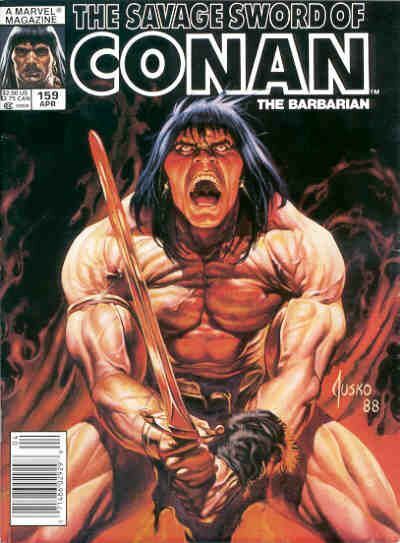 There were comics for almost every taste and they were readily available almost everywhere you went. 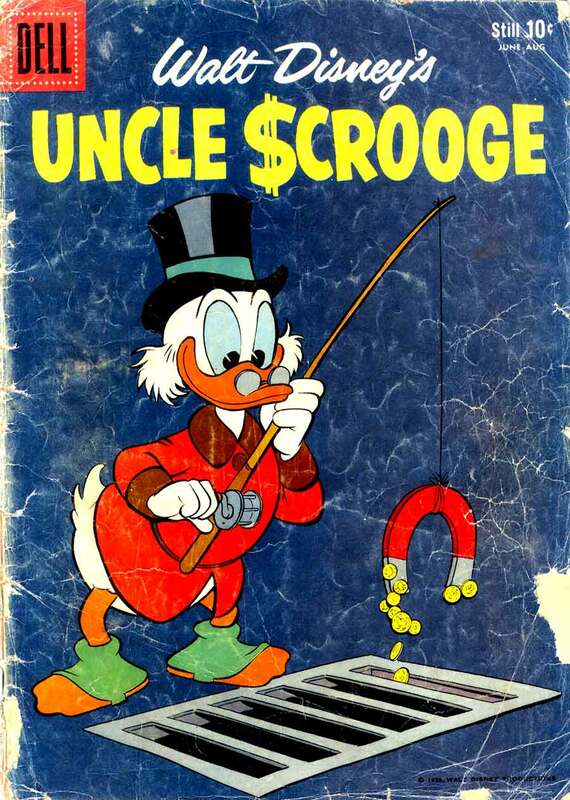 Even after the Comics Scare and the senate investigations, comic book sales were in the millions. One billion (with a “b”) copies of romance comics were sold between 1947 and 1954. Even at ten cents a pop, that’s serious money in post-war dollars. 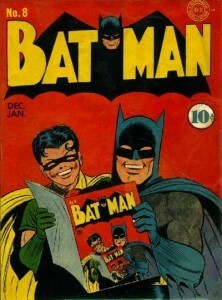 Titles like Batman, Donald Duck, Pep, Airboy, Red Ryder and Young Romance routinely sold in the millions of copies each month. If a comic dipped below one million in sales it was cancelled and replaced with another title. TV came along in this period and was as much a national obsession as the Internet is today. But comics’ sales suffered only a small hit and then recovered. And much of this is probably more the fault of the anti-comics mindset of the public at the time. From the 50s to the early 60s it’s still a run of very shallow dips in sales. The business was still steady for companies like Dell, DC and Harvey. And all of it was monthly sales. No trade paperbacks. No back-end cash from licensing. No action figures or limited editions. Strictly the sales and returns of the periodical business. People buying comics, reading them, and most often, tossing them out with the old newspapers. So what happened? How did comics fall to where they are today when a comic has to sell in the low five figures before it gets axed? Why don’t average folks read them anymore? Why has, what once was, a common-as-dirt entertainment medium become little more than a sub-culture appealing only to a few niche markets? The wheels started coming off in the mid-60s when an over-all sales slump sent the companies scurrying to take a look at their strongest-selling titles and capitalize on them. It’s called ‘redundant publishing’ and it’s as old as comics. Captain Stronguy is your top earner? Bring out two more comics starring the big lug. Your cowboy comics are seeing minimal returns from the news agents? Send some more of them buckaroos to the presses. 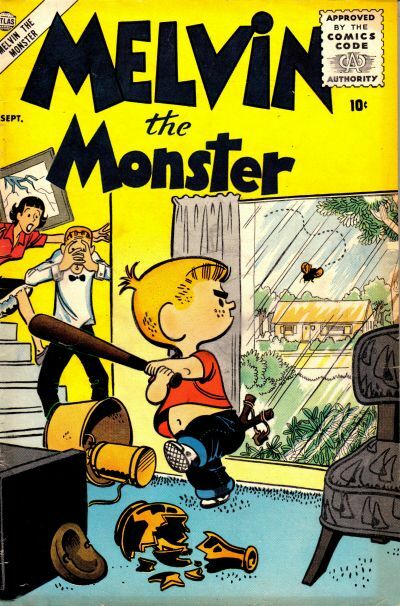 This is how you wind up with a half-dozen Dennis the Menace knock-off titles in the mid-50s when Hank Ketchum’s creation caused a phenomenon in newspapers. Atlas alone had at least four separate titles with Dennis Mitchell clones. In the early 60s, superheroes were looking to be making a comeback. Marvel and DC were doing well with their titles featuring retreads of Golden Age characters as well as new men in tights and so they replaced older books with superhero adventures. 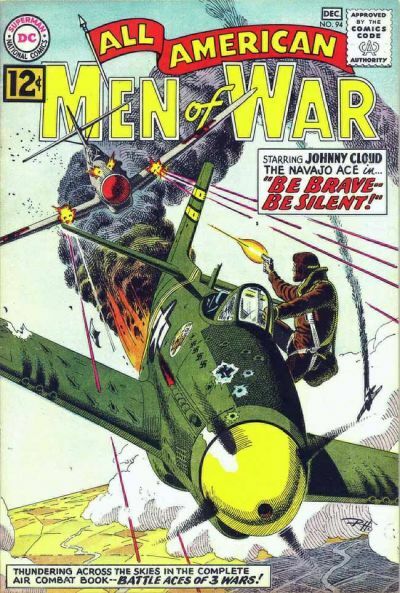 But recall that in addition to the superhero titles, Marvel was still doing well with Kid Colt, Patsy and Hedy and Sgt Fury and his Howling Commandos. Over at DC, Fox and Crow, The Adventures of Jerry Lewis and G.I. Combat were bringing in readers one dime at a time as well. It wasn’t all capes and boots. Elsewhere, Archie and Harvey dabbled in superheroes but quickly returned to comics of the Riverdale gang and Casper and Wendy. But the emphasis on superheroes, particularly in the light of the success of the Batman TV show in 1966, created something that had not previously existed to any large degree in comics before. 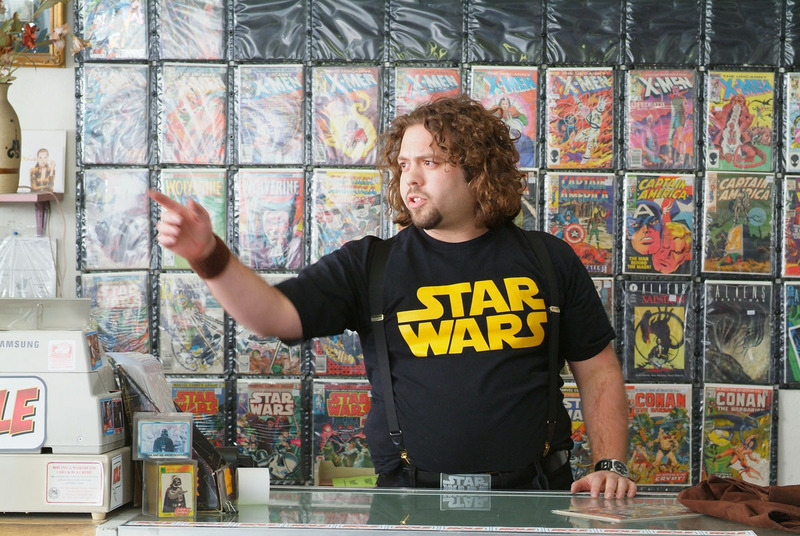 A fan base began to rise in support of superhero comics. They were passionate, dedicated and all-consumed. They ran off mimeographed fanzines which found a ready audience. Within years, off-set printed fanzines with color covers began to appear and form a kind of jungle telegraph for devotees. 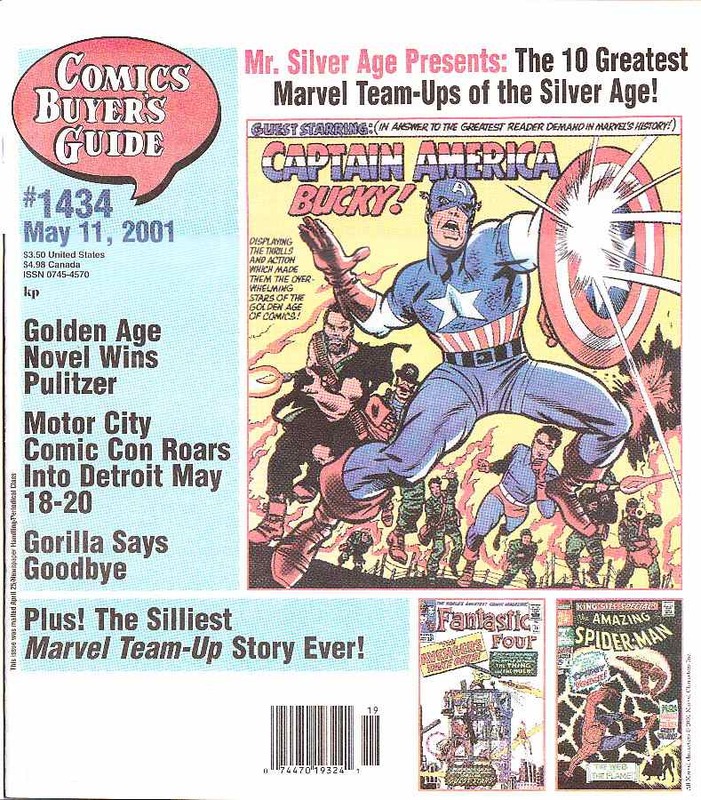 The Comics Buyers Guide came along not long after around which a network of fans and collectors coalesced. The only precursor to this was the fans that grew up around the EC comics of the 50s. But they were a smaller group and most faded away when comics they loved came under the cloud of public scorn. But the superhero fans weren’t going anywhere. In fact, many of them were determined to make themselves a part of the business of making comics either by producing their own amateur efforts or aiming themselves at professional careers in the major comic book publishers that generated the exploits of their favorite super-powered characters. By the late 60s, some of these fans had graduated to pro status and were working at DC and Marvel as editors or writers. In the 70s they would all but take over the business forming the core of the writing pool at both major companies. Their over-riding interest was not comic books as a medium but the promotion and perpetuation of superheroes and only superheroes as the main genre of comics being published. At both companies, titles that were selling well but did not feature guys and gals in capes and masks, were considered second-best efforts. Books like DC’s war line and Jonah Hex were practically carrying the company on their back while books with dismal sales like Green Lantern/Green Arrow were lauded by the fanbase as “the way to go.” At Marvel, Conan, Mighty Marvel Western and their horror titles were generated stronger sales than Spider-man and The Avengers. But those books weren’t what fans wanted even if casual readers enjoyed them. Consequently, the emphasis on superheroes led to a talent drain on the books that were actually selling. 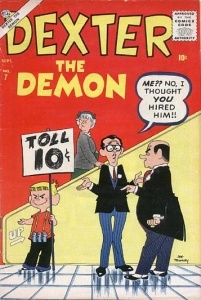 Less and less effort went into what were seen as ancillary “back bench” comics and the creative chores were assigned to artists with lower page rates. Writers seen as either too old or not belonging in the tight clique of superhero writers were assigned scripting chores. The creators on the supertitles, despite lower sales, were seen as the stars of the industry. The quality of the war, western and horror books slipped considerably and so, over time, did the sales. Now the field was entirely clear for superheroes. Any competing genre was dismissed as “that stuff doesn’t sell any more” even though titles in those same genres were the sales leaders only a few years before. Any chance for counter-programming vanished with the inception of the direct market. This was a delivery system that bypassed the vagaries of the newsstand to go directly to the comic fan base which was rapidly building in size. This was a market where the superhero reigned supreme and soon sales to specialty comic shops through direct distributors became the yardstick for success. It didn’t matter if a title was selling a quarter million on the newsstand if it was doing less than 40K in direct. Those were readers. Yahoos. What did they know? Comics were for connoisseurs now. And that’s where we still are today. Superheroes still lead the field of an ever-shrinking base of fans. And it’s not the enthusiastic party crowd of uber-nerds it once was. Now it’s a jaded bunch more interested in the latest continuity shocker or trivial reveal. Some fans no longer even read the comics themselves. They log onto message boards and ask for rundowns on the titles they’re interested in. It’s more like baseball fans looking at box scores and stats rather than watching the game itself. And this speaks to the medium as a whole. There is an emphasis in recent superhero titles on shock and character development (and shocking character developments) over visual storytelling. The balance of a “good story plainly told” in pictures is gone for the most part. Many, many titles prize exposition over action and character over plot. These are entertainments for the initiated rather than mainstream escapist reads. A good ripping yarn has been replaced with more internalized stories to appeal to a fan audience who wants their spandex-encased icons to grow up with them. Often, this leaves the core continuity that the vast casual reading public is familiar with either irrevocably changed or made densely ambiguous. These are not the comic characters as they exist in the pop culture zeitgeist. These are more personal visions seen through the lens of the new crop of creators and embraced by an ever more cynical fan readership. This is the same road travelled down by mainstream science fiction in the 70s. Fans took over the genre of science fiction and created something close to a second language. All SF was written by a coterie of writers who “got it” and the genre “matured” to the point where sales of science fiction reached a plateau well below the sales levels enjoyed only a decade before when casual readers would buy books about the future or space travel. Today science fiction only reaches the broader mass market when written by Michael Crichton or connected to a major license like Star Wars or Star Trek. Sadly, this same thing has happened to the lowest of lowbrow entertainment. The comic book has moved beyond a medium of words and pictures. The simple diversion of a clever or funny or suspenseful comic book has been made more “sophisticated” and ironic. Like SF, this trend began in the 1970s. 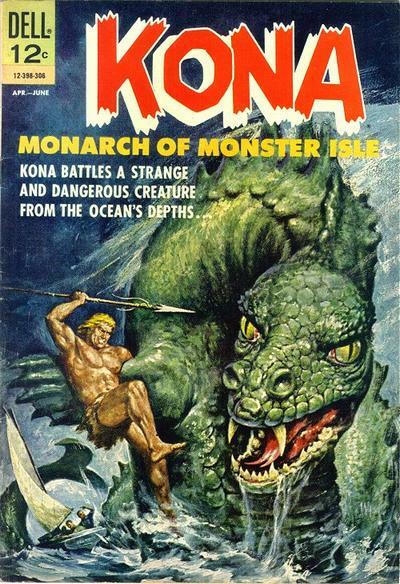 Writers (who were often their own editors) were more concerned with creating densely-populated worlds for their childhood favorites than creating reader-friendly fare. They were consumed with righting the perceived wrongs done against what they thought were maligned or overlooked characters. Obsession with elevating some farm team non-entity to stardom or correcting an irritating continuity glitch overrode the notion of creating saleable adventures that someone outside of their fan circle might enjoy reading. This change in emphasis created an industry-wide halt in the evolution of the comics medium in the mainstream. The artists were merely adjuncts to the writers’ demands. Little progress was made in advancing the visual storytelling that is at the core of what a comic is. Now comics became dialogue- heavy with lots of narration captions, thought balloons and even editor’s notes. The action seemed cramped and even secondary to the story. All sense of flow was gone. The language of comics was lost. The most basic sort of story structure was employed: plot advancement followed by action followed by more plot advancement. Characters began telling us who they were rather than showing us. At both major companies a disdain for visually-driven comic art was growing. The Hulk became smarter so he could talk more. Loner characters saw their supporting casts grow so there could be even more exposition. Ensemble books, once inhabiting the bottom of the sales numbers, rose to prominence. But all of this was actually a de-evolution as the medium abandoned all of the progress that had been made prior. Rather than build on what masters like Caniff, Eisner, Kirby and Kurtzman had established, it was all being discarded. 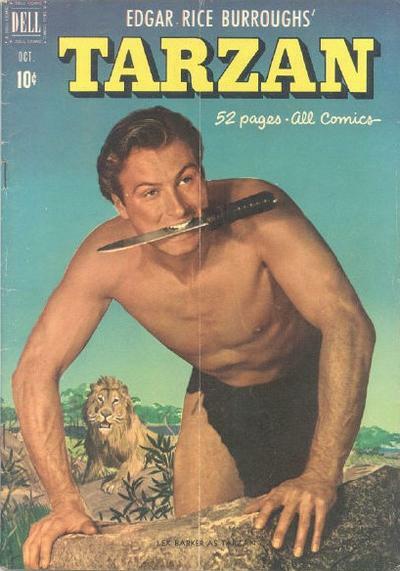 Ironically, these early comics figures were lionized even as the sense of their accomplishments was being forgotten. By lauding them and placing them in halls of fame, these innovators were, rather than being revered, being consigned to the past. That was then. This is now. Comics have grown up! We’ve written a script for ourselves as an oppressed minority; a priesthood that will preserve Captain Stronguy for future generations (spawned by parthenogenesis, I suppose) to carry on his heritage. Oh, the public may enjoy Spider-man movies. But they don’t really know him. They could never know him as we do. 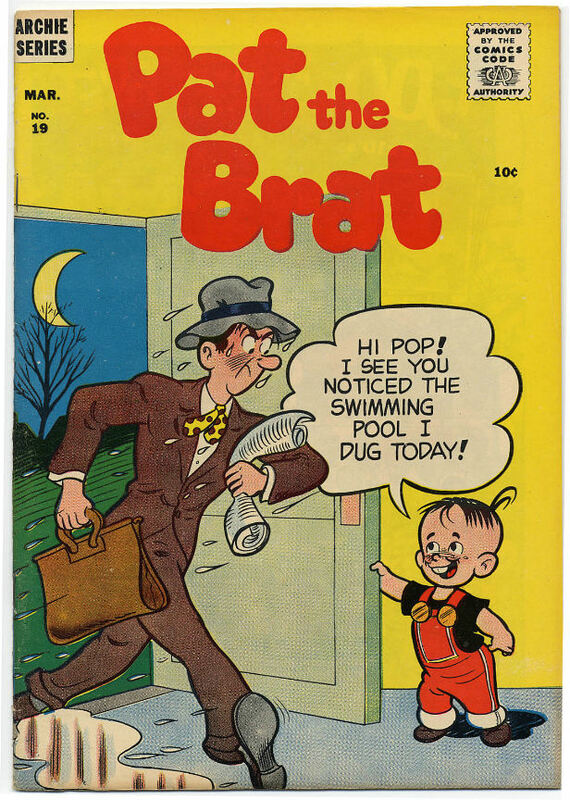 The tantrums and tribulations of adults dressed in flamboyant skin-tightcostumes are somehow more mature than say, Little Lulu or Sgt Rock? These logorrhea-afflicted posers provide a more compelling saga than the average comic that existed in the decades prior? These are sophisticated stories for discerning readers who want to be challenged not coddled. We had our Golden, Silver, Bronze and Lucite ages of comics. I welcome you now to comics’ Post Modern age. We’ve moved past the need for a comic to provide entertainment. We’re all so much more aware than we once were. Well, those of us who “get” comics are. Those shrinking few who fully appreciate these characters and don’t want them wasted on the casual readership who could never understand them as we do. So, what do the rest of us do? Where’re the comics for the general public? What are the kids supposed to read? What if I don’t like superheroes? Or perhaps I’ve outgrown them? 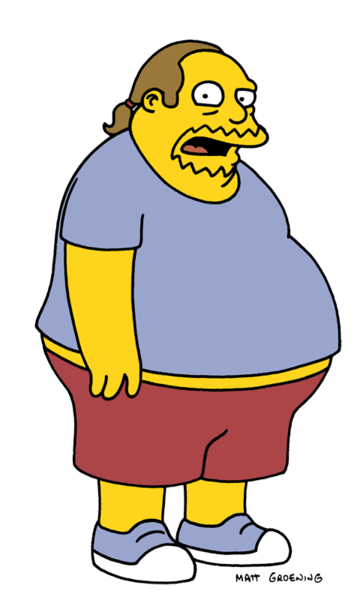 Where’s the comics for dummies? And that, right there, is the biggest difference between when comics were selling big numbers to a mass market and the boutique industry we have now. No effort is being made to reach a wider audience or even bring new readers in. The last effort made to create a new market was the Vertigo line at DC. And as successful as the line has been (trade paperbacks of Vertigo material routinely out-perform the sales of the “more popular” DCU superheroes. ), it mostly just carved a niche from a niche; it curried out the most cynical comics readership and gave them a line of their own. That said, many Vertigo titles strive for a balance between text and pictures and the line is more reader-friendly, offering limited series that present complete stories and more readily-accessible high concepts for casual readers. So, if the Vertigo line taps into the smartass demographic, where’s the follow-up? A line for the even more casual reader. The bored soccer mom. The frequent flyer with time to kill between flights. The soldier or marine with hours of monotony to fill. Isn’t the comic book still an elegant, durable and attractive entertainment choice? And what about those old comics; the ones the great unwashed read in great number? To a fan who only looks back at the superhero efforts of the past, they look mawkish and simplistic. Superman and Batman comics of the 50s were written with an obvious contempt for the reader with ridiculous andimplausible storylines that seldom came to a logical conclusion. Looking only at these titles one would have to assume that all comics were like this; unsophisticated time-wasters created for near-illiterates. Maybe it would be if there were comic books that appealed to that readership. Romance, war, detective comics. Like there used to be before comics “grew up. “The conventional wisdom is that, except for a few bright spots, comics were a wasteland until the superheroes took over the medium in the 60s when the true modern age of comics began and was finally wrought into True Art by the auteur creators of the 80s and 90s. But to judge the comics of the past (and the readers who bought them) only by peering through the lens of the superhero genre is to miss a period of vital comics being routinely presented by expert craftsmen often working quiet wonders in the area of graphic storytelling. The average comic was well-drawn, skillfully presented and very aware of the demands of its readers for a diverting story with attractive art. The emphasis was on entertainment and giving the reader his (or far more often, her) dime’s worth. I'd love to see this analysis fleshed out with more details and numbers. I like your discounting TV's impact. After all, for many years, radio and comics were very much symbiotic.